The existing road is narrow (approximately 6m) , has poor pavement structure with substantial edge break, a dangerous horizontal curve and inadequate surface drainage. 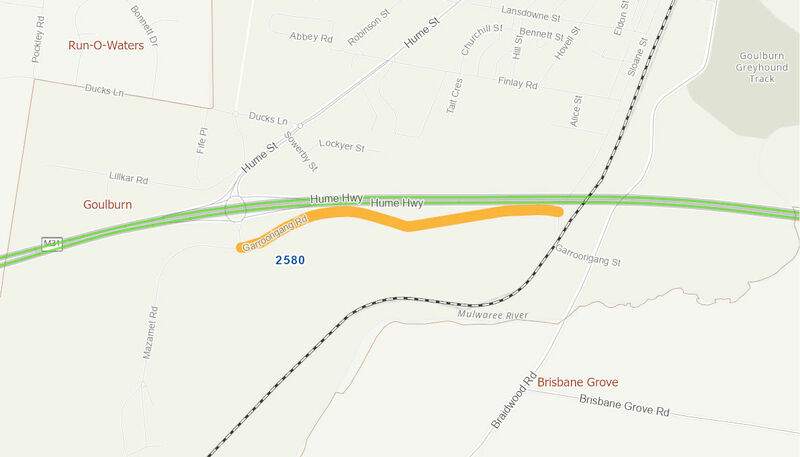 Garroorigang Road links the Hume Highway to Braidwood Road and has substantial heavy traffic. The works will widen the existing pavement to a 9m formation including 2 x 3.5m traffic lanes plus a 1m shoulder on each side. There will be improvements to the horizontal and vertical alignment, pavement rehabilitation and additional surface drainage.